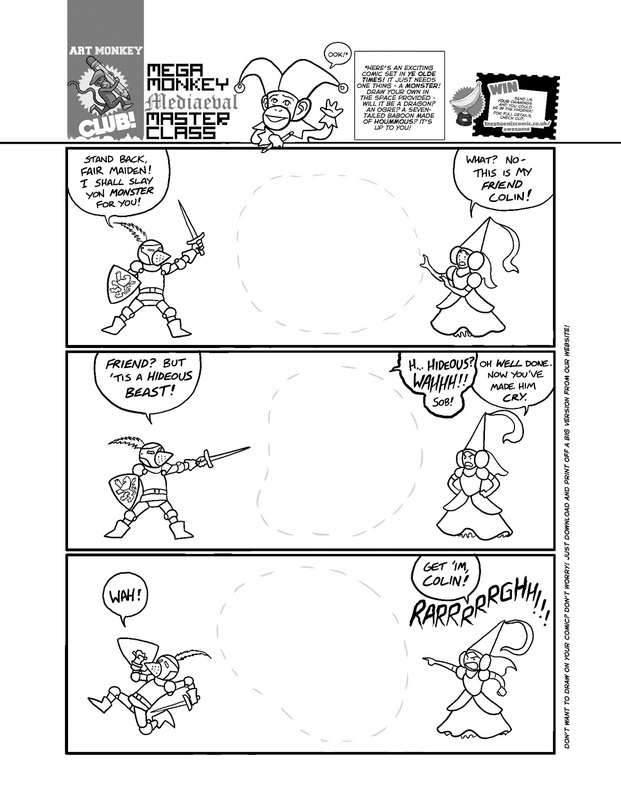 Art Monkey Club: Activity Sheets! Here is this week's Art Monkey Club activity sheet! 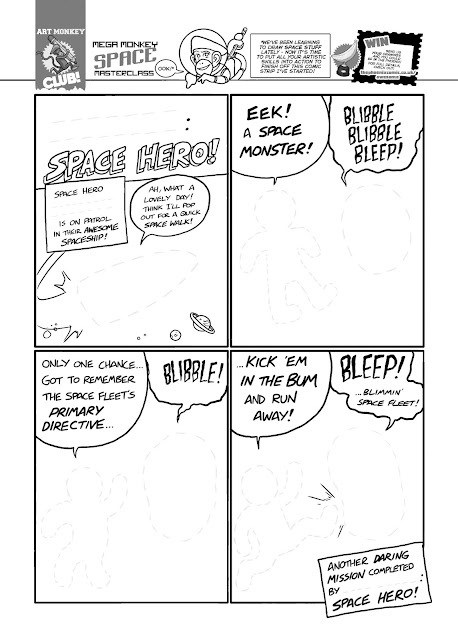 Click on it for bigness and then download / print / draw all over it and colour in at your leisure! Um, sorry it's a little late. Look, it's been a bit of a week. 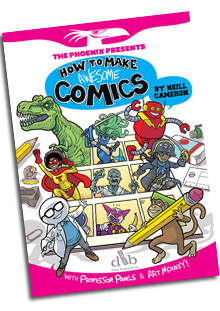 Hopefully should all be up-to-date and uploaded over on the Phoenix's How To Make (Awesome) Comics page very soon! Here's last month's one too, to make up for it. Comics! For kids! Drawing! That kind of thing! Put May 4th in your diaries! For it is the day for the first ever Oxford Children's Comics Festival! (I'm not sure if that is the actual, official name - there may be an 'International' or something in there, but you get the gist.) Anyway, it promises to be a ton of fun! 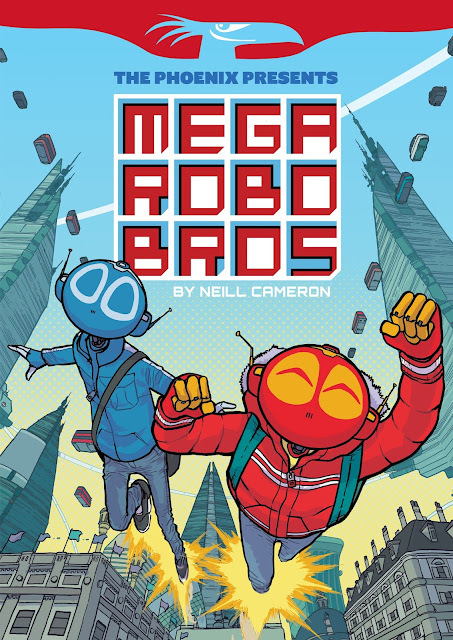 Oxford's entirely brilliant Story Museum will be filled out between the hours of 11am and 4pm with some of the best all-ages awesomeness-tastic comics and creators you could hope to spend a Saturday with. Who will be there? The Phoenix! 2000AD! (the family-friendlier wing thereof). LOAf Magazine! The DFC Library! And a whole bunch of brilliant cartoonists, writers and illustrators doing workshops and other creative funtime activities To Be Confirmed. I'll be there, anyway. Come and say hello! * Hey, if worst comes to worst I'll bring some of mine along. 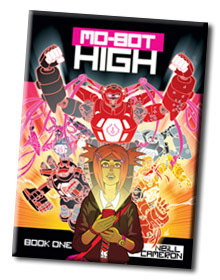 More details and an official announcement should be rapidly forthcoming on the Phoenix website, I daresay, but in the meantime if you're a creator of kids' comics and you'd like to be involved - well, for now, holla at me on twitter and I'll put you in touch with the relevant parties? FUN TIMES you guys! Let's make this a happening happening.